Buying a car is the second biggest investment you'll make in your lifetime, behind your house. It's important to get extended warranty coverage in case of unforeseen repair costs. Mainstreet Motor Company offers a variety of extended warranty options with various levels of coverage. An automobile warranty is a promise by a manufacturer or dealer that it will repair or replace defects in your car, or that your car will be of a certain quality, for a specified period of time. Warranties are not just for new cars and are not always in writing. In some cases, even used cars purchased "as is" are covered by warranties. If you take the time to find out what warranties come with your car, what repairs those warranties cover, and how to enforce your warranties, you may save yourself a significant amount of money when your car needs repair. If a used car is sold "as is," the implied warranties don't apply. This means that you must pay for all repairs that aren't covered by an express warranty, even if the car breaks down on the way home from the dealership. 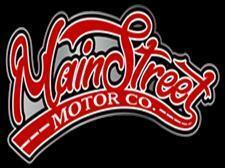 Mainstreet Motor Company has many options to extend the length of your vehicle's warranty. Many people fear the high cost of unexpected repairs for their car. An Extended Warranty contract saves you from these worries. For a set cost, many of the repairs that are needed on most aging vehicles are paid for by the Insurance Company that provides the warranty and not by you. Our loan specialist will explain the options for extending your vehicle warranty. This is a opportunity to buy the peace of mind that unexpected repairs won't ruin your monthly budget.